The rise of the political netroots has had a distinctly partisan character: conservatives have repeatedly tried and failed to build equivalents to the organizations and infrastructure of the progressive netroots. The MoveOn Effect investigates these efforts, as well as the late-forming Tea Party movement, and introduces the theory of Outparty Innovation Incentives as an explanation for the partisan adoption of political technology. 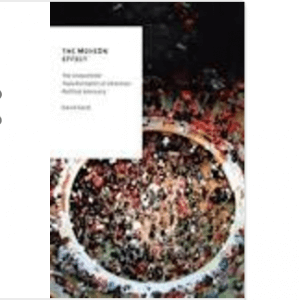 Written by a political scientist who is also a longtime political organizer, The MoveOn Effect offers a widely-accessible account of the Internet’s impact on American politics. Operating at the intersection of practitioner and academic knowledge-traditions, Karpf provides a reassessment of many longstanding claims about new media and citizen political engagement.